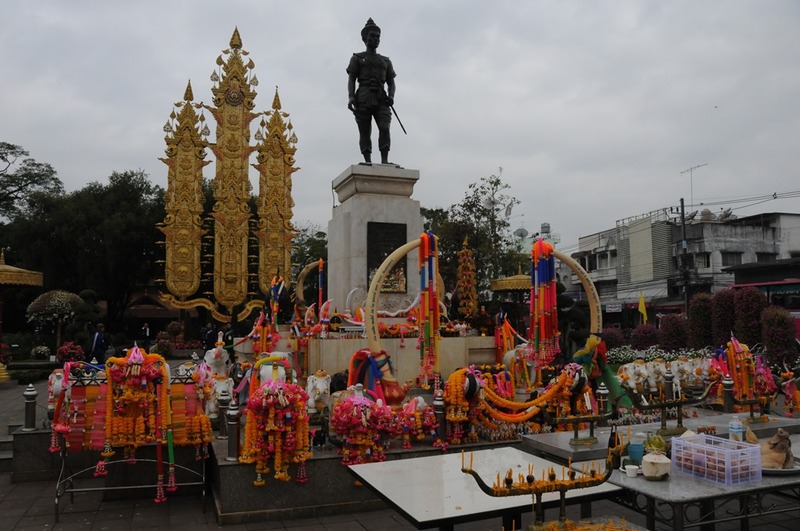 This was my second visit to the country of Thailand, an ancient Kingdom formally known as Siam. 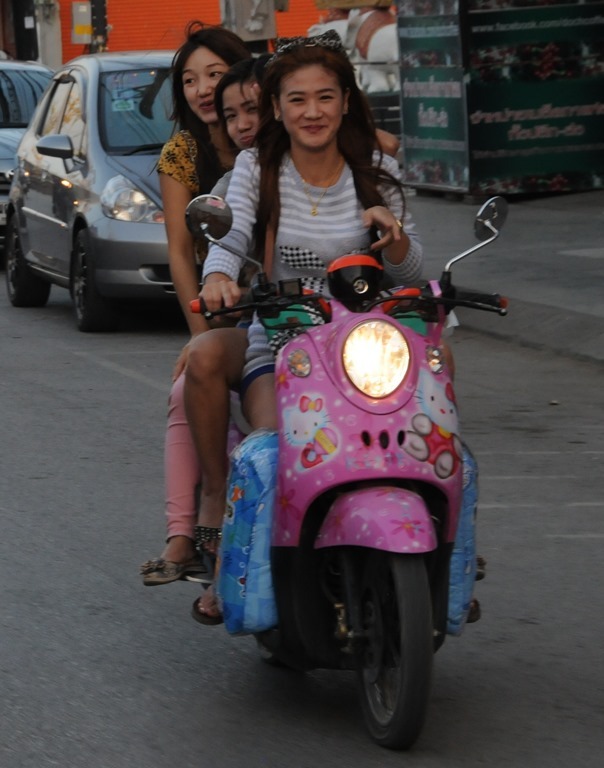 Aptly nick-named ‘The Land of Smiles,’ the Thai people are some of the nicest and easy going people you’ll ever run into. As one might expect from Thailand, there are thousands of Buddhist temples and statues in Chiang Rai province, and numerous examples can be found across the countryside. 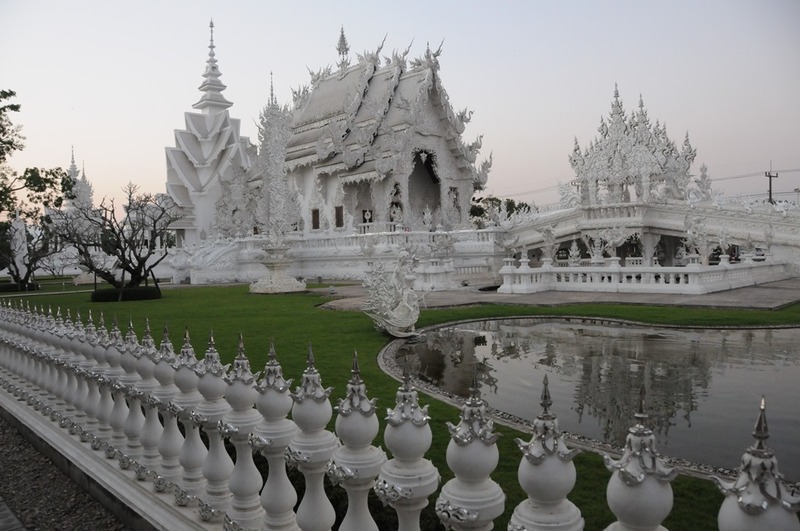 Of particular note is the strangely bizarre, but yet modern Wat Rong Khun (Often referred to as the White Temple) near the city of Chiang Rai. 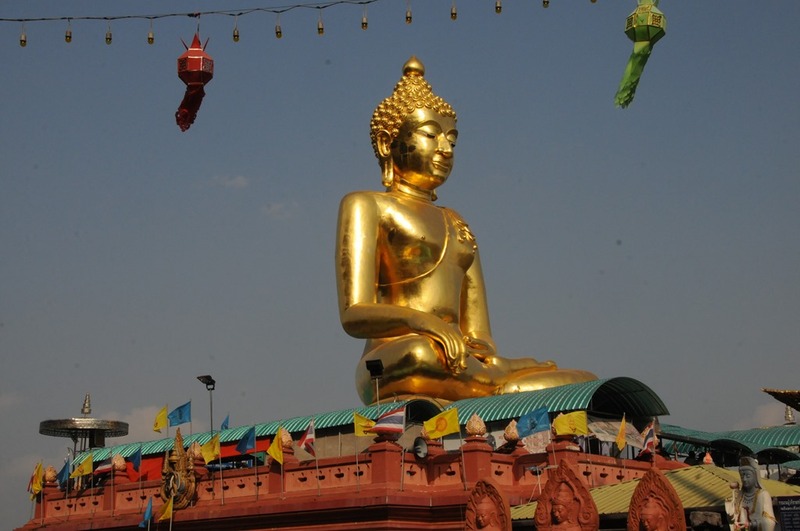 It’s really challenging to explain this Buddhist Temple complex, which began construction in 1996 and is not expected to be complete for decades. A highly recommended diversion from Chiang Rai, pay particular close attention to the details in the artwork, which include carvings, sculptures, and representations of pop culture such as the Predator and Aliens from the famous movies. 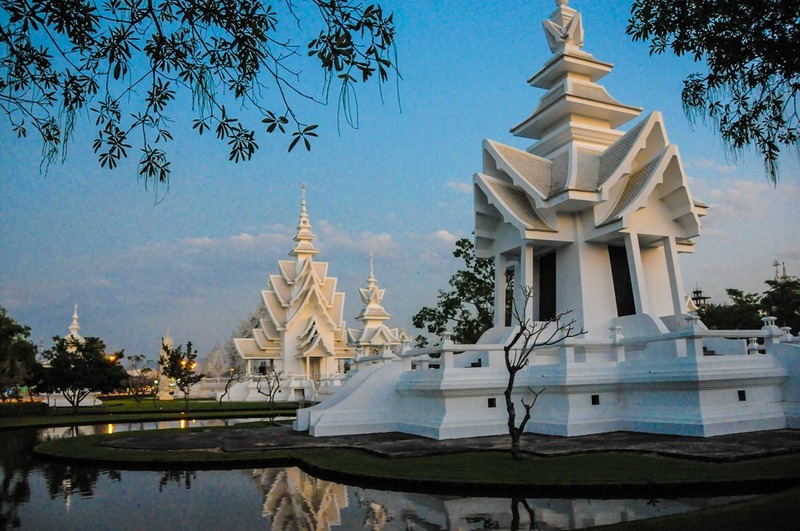 The city of Chiang Rai itself is a busy metropolis that by itself does not have much in terms of attractions, but that serves as a great home base for exploring the region. 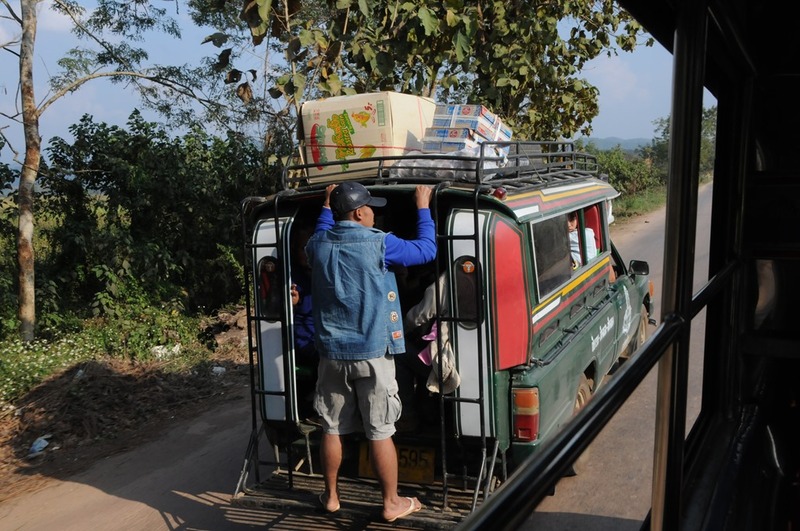 You can get from here to the Burmese (Myanmar) border in around an hour and to the Laos border in around the same time as well. In addition, you can also arrange for tours of the local hill tribes, which compromise around 12.5% of the population, the largest population of these groups in Thailand. One place that is worth noting in the City of Chiang Rai is its excellent night market, where you can load up on a huge variety of extremely tasty Northern Thai food. 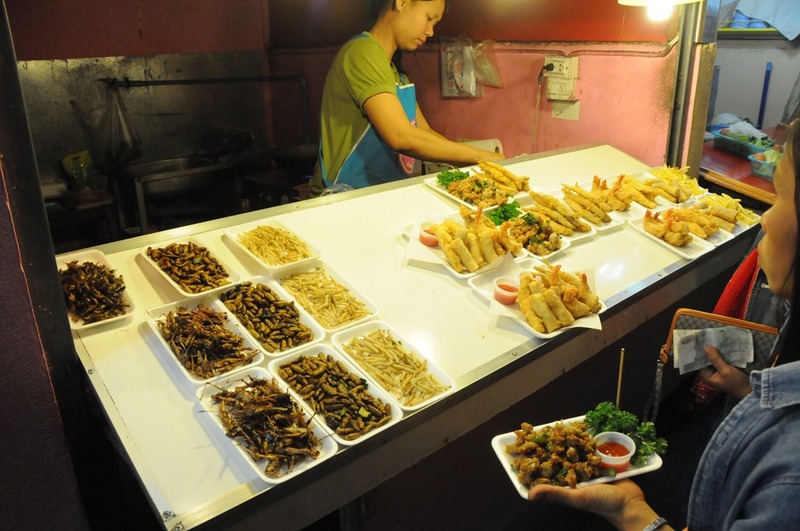 If you’re interested in taking it to the next level, you can even sample the tasty grasshoppers, bugs, and insect larvae that they sell by the plateful here. And yes, Joel and I finished a whole plate…the secret is to dip them in hot sauce first. This region of the world has been known as the ‘Golden Triangle’ for some time now, originally because of its significance as the world’s largest opium-producing area, a reputation it has only recently begun to shed. 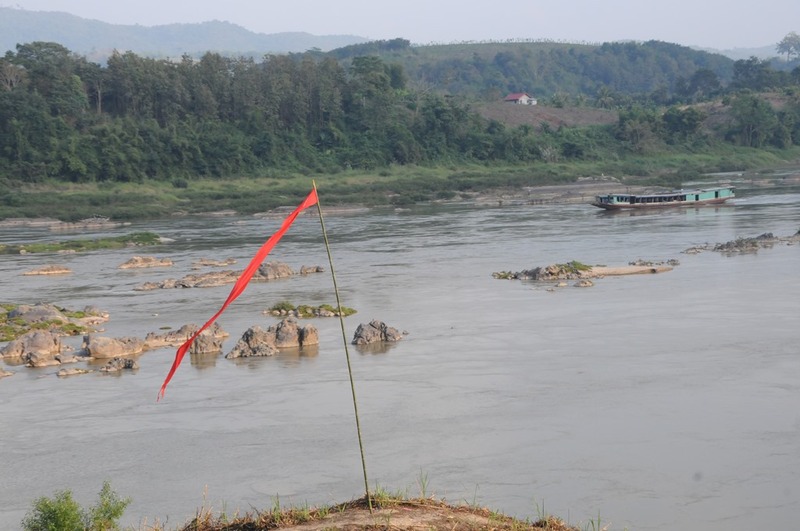 You can still find some vestiges of that sordid past here, however, particularly along the Mekong River, where many of the old smuggling routes were found. While the opium trade still exists, it has been surpassed by the importance of local tourism, and many tourists are drawn to attractions such as the opium museum here. 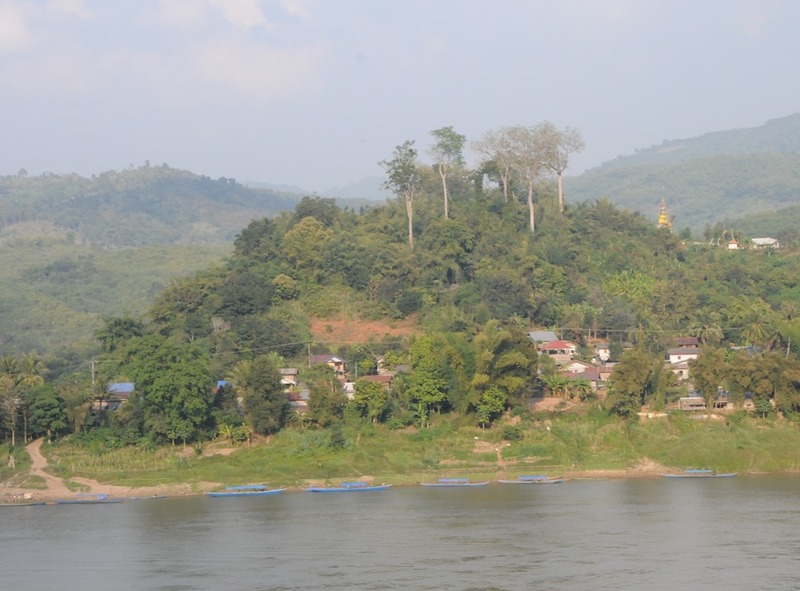 The Mekong river still has great significance in the area, however, and the Golden Triangle now refers to the area along the river where the borders of Thailand, Burma, and Laos meet. 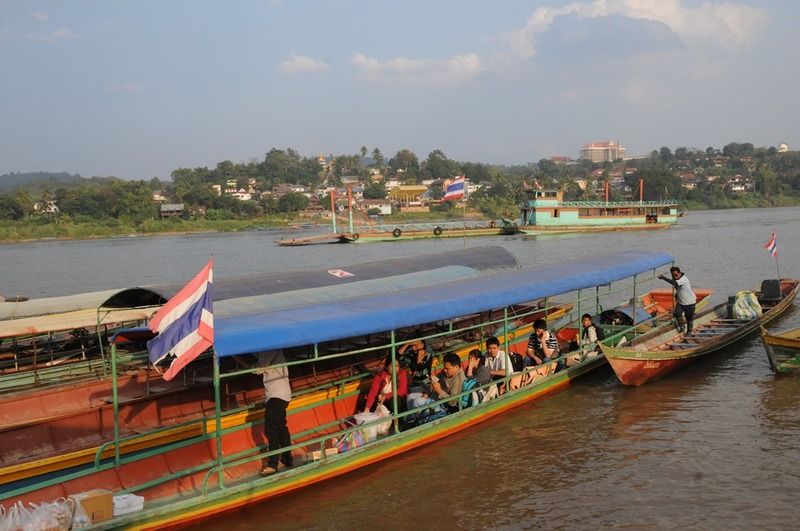 Indeed, the border crossing between Thailand and Laos in the Chiang Rai district is simply a Thai longboat that takes you across the Mekong River. Here in a part of the world where ancient tribes from China intermingle with a Siamese kingdom and a Burmese empire, you get the distinct impression that you have journeyed outside of your comfort zone; a very good feeling indeed. This entry was posted in Asia and tagged Chiang Rai, Golden Triangle, Hill Tribes, Mekong, Songthaew. Bookmark the permalink. I have been to Thailand several times but unfortunately, I haven’t had the opportunity to see the white temple yet! The pic of the temple is amazing!!! Thanks for sharing!! My only regret was that I arrived at the White Temple too late to see the interior…my friend Joel has been inside and he describes it as surreal, with pop culture figures like the Predator and Alien characters built into the walls. They keep on building there too, there were several new temples going up when we visited, a truly beautiful place!